First she was trained in Dublin, then at the Royal Academy of Music in London under William Shakespear and completed her education in Milan with soprano Tina Sconamiglio. In 1911, under the name Margaret Burke-Sheridan, she sang at Dublin in Handel's ‘’Messiah’’. She made her debut in 1918 at the Teatro Costanzi in Roma as Mimi in "La Bohème". She had a great success especially at the Teatro San Carlo in Napoli. In 1921 she sang for the first time at La Scala in Milano, where she became very popular in the following years and appeared here until 1924. In 1923 she sang the part of Olimpia in the premiere of Respighi's "Belfagor". She was highly acclaimed by Giacomo Puccini. Her roles at La Scala included also Wally in the same opera by Catalani and Maddalena in Giordano’s "Andrea Chénier". In 1924, for political reasons, she left the theatre with A. Toscanini, who previously promoted her career. 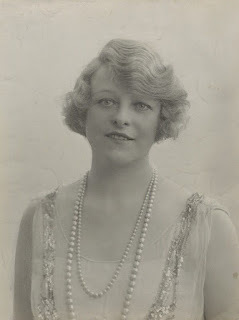 She was also successful at the Arena di Verona and in several guest appearances at the Covent Garden Opera (since 1919). Here she appeared in the first performance of Mascagni's "Iris" (1919). In the 1925-1930 seasons she sang constantly at the Covent Garden Opera. After leaving the stage she returned to her Irish home and worked as vocal pedagogue in Dublin.